Tarpon will move to inside waters of Sarasota Bay, Charlotte Harbor, and Tampa Bay this month. You may also find juvenile tarpon in creeks, canals, and turning basins. Reds will school on shallow flats and big trout will prowl the same waters at dawn. Also look for trout on deep grass flats mixed with blues, pompano, Spanish mackerel and more. Catch and release snook fishing should be good around lighted docks at night or in the surf. Look for false albacore (little tunny) to show up in the coastal gulf later in the month. 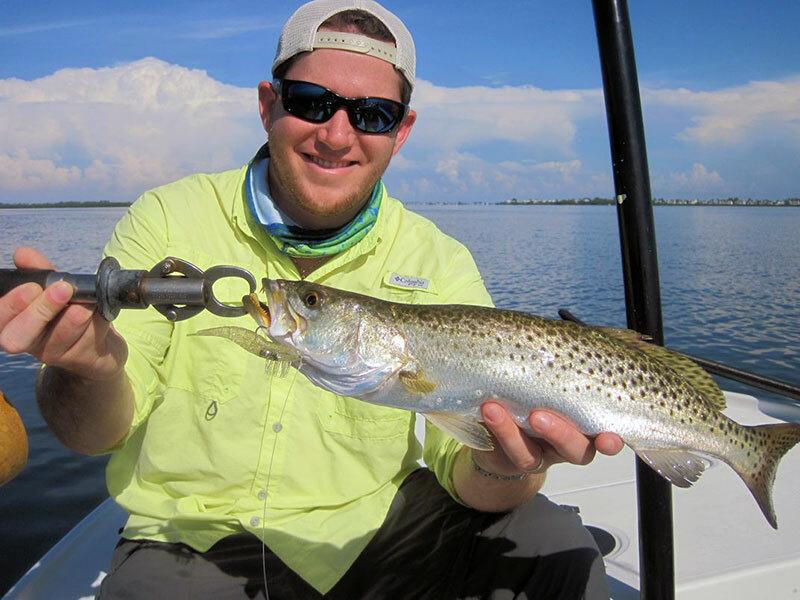 There's good action in the deep grass flats of SRQ Bay. Tarpon addicts will still be able to get their fix this month. 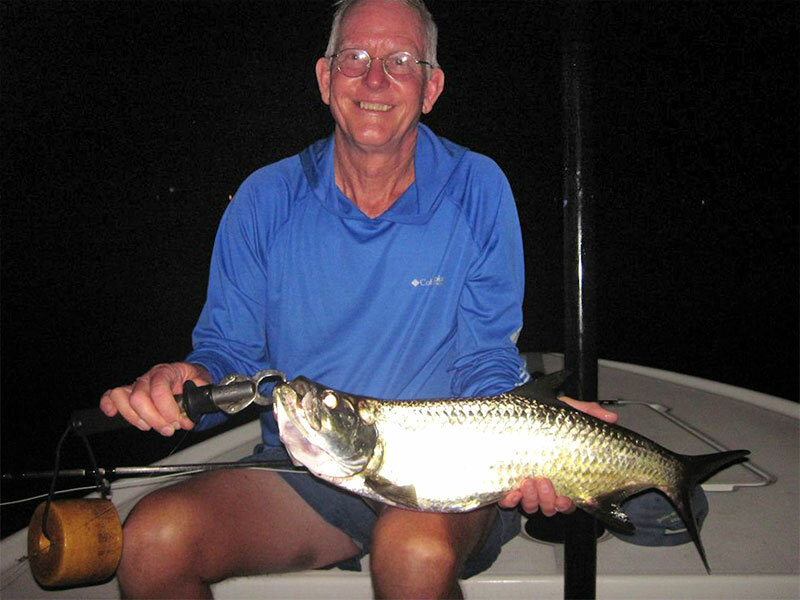 You should still find a few tarpon in the coastal gulf early in the month. Drifting live baits or casting flies, DOA Baitbusters, DOA Shrimp, DOA Airheads and 4” CAL shad tail should all work. As tarpon thin out along beaches, they will move to inside waters where you may find them schooling around bridges or rolling on deep grass flats. They will also feed in schools of ladyfish that are feeding on the surface. 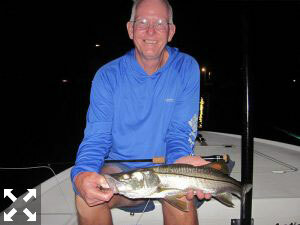 You should also find juvenile tarpon from 10 to 30-pounds in creeks, canals and turning basins. Your snook tackle will work fine for smaller tarpon although you’ll need a leader of 40 to 60-pounds to keep them from going through it. Fly anglers should score with 8 or 9-weight fly rods, sinking lines and scaled down tarpon flies. August is a great month to fish dock lights before light. Reds should school up this month, although their numbers have been thin for the past couple of years. 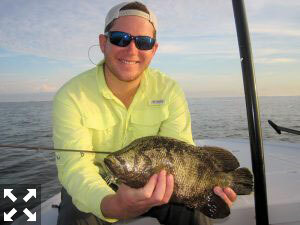 You should find them on shallow flats of north Sarasota Bay, lower Tampa Bay, and Gasparilla Sound. They’ll be easier to find in shallow water when the tide is low. Look for “nervous” water when it is slick calm or a slick patch of water when there is a ripple on the water. They may push a wake that looks like a boat wake. I try to be as quiet as possible in shallow water, poling to locate them. Once you’ve located a school of reds, try to get ahead of them to intercept them, much like tarpon fishing. If you work around the edges of the school, you may be able to catch a few of them before they spook. We often also find big jacks, blues and other predators in the mix along with reds. Topwater plugs and fly poppers or Gurglers may draw some big bites. The DOA Airhead and 4” CAL shad tail should both work well on schooling reds. Trout fishing should be good this month. You may find a big trout in skinny water at first light. Focus on mullet or bait schools to find them. Topwater plugs, fly poppers or Gurglers should be very effective at that time of day. I always release big trout over 20”, since they are usually females that may be full of roe. I like the same areas for big trout that I like for reds.